The UK's competition watchdog has accused two drugmakers of charging "excessive and unfair" prices for an anti-epilepsy drug in Britain. US pharmaceuticals giant Pfizer has called off its multi-billion pound bid to take over British-Swedish firm AstraZeneca. 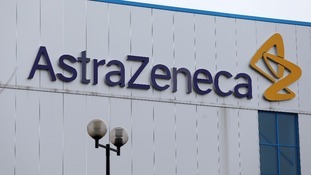 The decision came after AstraZeneca's board declined an offer worth almost £70bn. Pfizer had until 5pm today to make a new bid or walk away from the process. "Following the AstraZeneca board's rejection of the proposal, Pfizer announces that it does not intend to make an offer for AstraZeneca," the firm said in a news release. ITV News Business Editor spoke to AstraZeneca shareholder and fund manager Neil Woodford this evening, who said he was "delighted by the resolve of the board" and happy with their decision to reject the takeover bid. My News at Ten live didn't happen. Had planned to set out detail of my chat with Neil Woodford - another fund manager staying loyal to AZ. Woodford's stake in AstraZeneca "below 1%" but he was buying shares today. His bet: not on Pfizer's return "deal is dead" but AZ's future. Value of Woodford's stake in AstraZeneca fell 11% today but he was "delighted by the resolve of the board, it was right to reject the bid". The chairman of AstraZeneca has said the "tax-effective" structure of the proposed deal with Pfizer would have made it a "controversial" deal. "It was possibly within the rules - we think so - but it was clearly a controversial deal," he told ITV News Business Editor Joel Hills. AstraZeneca Chairman Leif Johansson has said he now saw no prospect of a deal with Pfizer before a deadline of 26 May set under British takeover rules, or any likelihood of that deadline being extended, Reuters have reported. Labour leader Ed Miliband has reiterated his call for the Government to do an "objective test" on the impact of a potential takeover by Pfizer of AstraZeneca, despite the British firm's board rejecting the apparently final offer from the US drugs company.